At this meeting, Cube AI presented its introduction of autonomous valet parking system which is Cube's own development, presented market situation, development contents that Cube AI has been proceeding so far and direction to go forward. 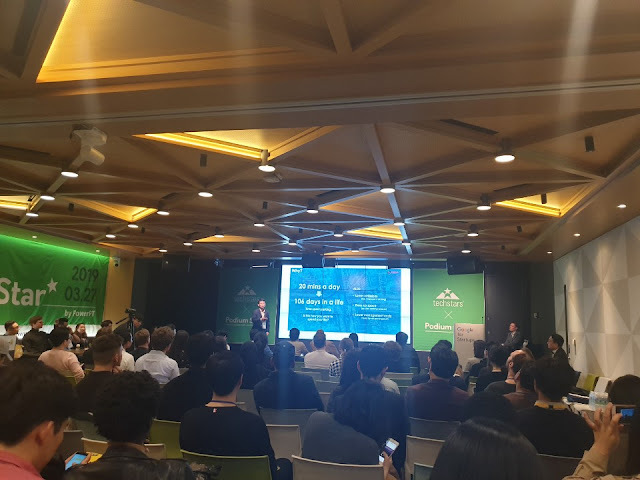 큐브 AI는 지난 3월 27일 Podium Star - Pitch your startup to Techstars & Kakao Ventures('Techstars', 'Kakao Ventures', 'Google Ventures', 'G3 Partners' 주최) 행사에 참여해 발표를 진행했습니다. 이 자리에서 큐브 AI는 자체 개발 중인 자율발렛시스템 기술에 관한 소개와 현재 시장 상황, 그리고 큐브AI가 지금까지 진행해온 개발 내용과 앞으로 나아갈 방향에 대해 소개했습니다.